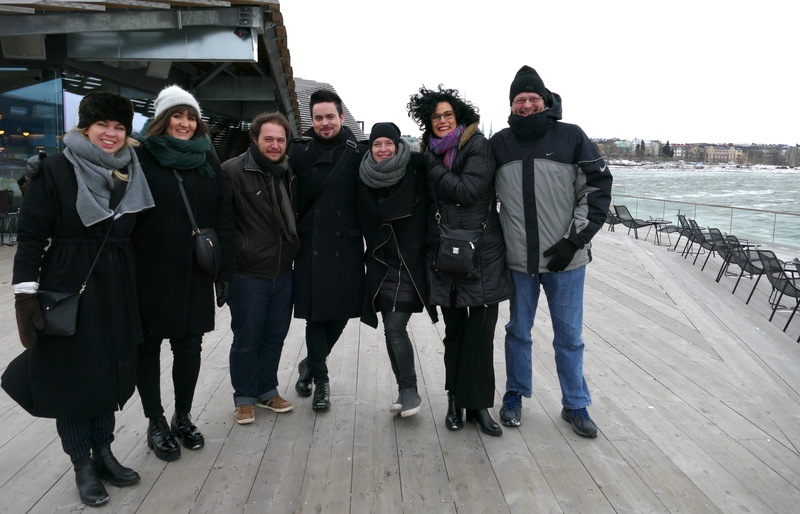 Moi moi, I have now spent two days in beautiful but cold Helsinki, together with a small group of international short and doc programmers. Invited by the Finnish Film Foundation, we have met producers and directors, watched brand new Finnish shorts, visited the National Audio visual Archive and have had a guided tour of Helsinki in Aki Kaurismäki's footstep. 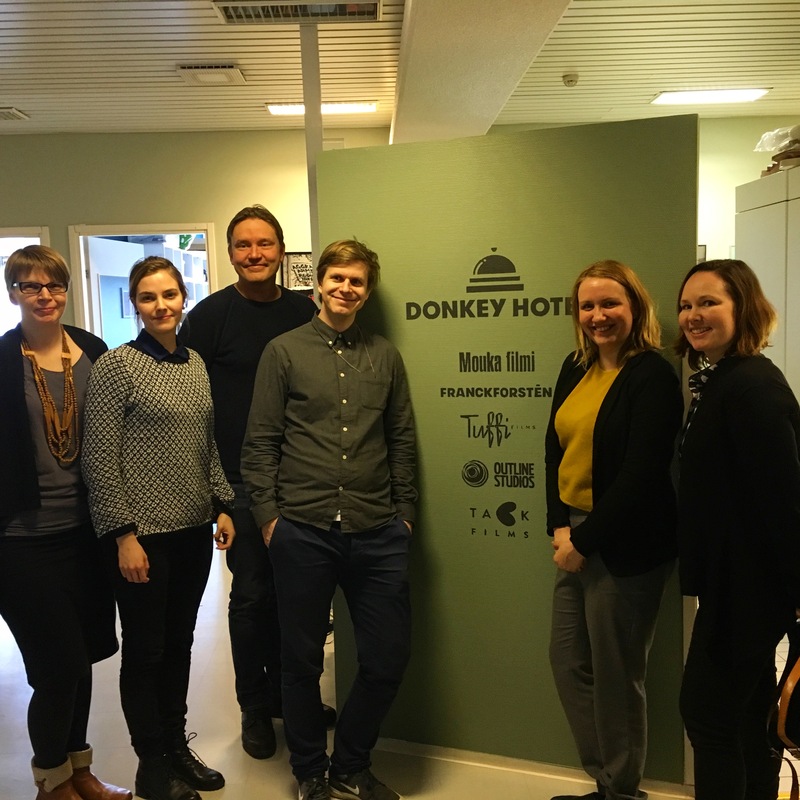 On Monday we visited the creative production collective The Doneky Hotel, including companies as Mouka Filmi and Tuffi film. They presented their upcoming work, which was very promising. 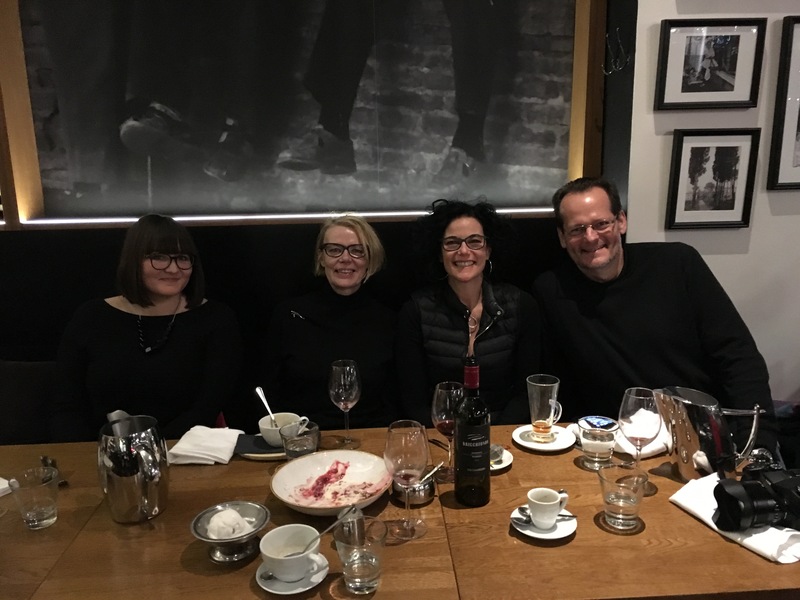 Thank you for hosting us, Otto Suuronen (Advisor / Short films, Finnish Film Foundation) and Marja Pallassalo (Senior Advisor / Cultural export of documentary films, Finnish Film Foundation) It has been a pleasure!! Now we are off to new adventures - Tampere Film Festival. Otto has promised us Finnish Pop music on the way. Looking forward to more Finnish Films and to meet with the Finnish Doc Lounges. Hope to see you in Tampere. Tampere Film Festival is a short and documentary film festival and one of the oldest in Northern Europe, starting in 1971; this year’s festival will be the 47th edition. The International Competition is amongst the most acknowledged short film competitions in the world. Tampere Film Festival’s International Competition is an Oscar®, BAFTA and EFA qualifying short film competition, meaning the world’s most trusted film organisations let us nominate films for their award categories. The National Competition showcases current feature-length documentaries alongside Finnish short films and is one of the most important platforms for Finnish filmmakers.